Sid Lucero (Timmy Eigenmann in real life) just recently got accolades from several international film festivals who were very impressed with his acting in the movie Selda. 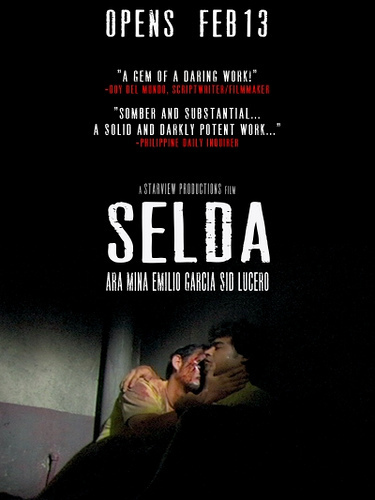 In Selda, Sid Lucero plays an inmate who goes through hell while serving his sentence in a jail cell. In Filipino, an inmate is referred to as selda, and thus the title. The organizers of the 32nd Montreal World Film Festival has personally requested for Sid Lucero to attend the festival, which is currently ongoing until September 1. It is the first time in the 32 years of the Montreal World Film Festival that a Philippine film has made it to the competition section of the Festival des Films du Montreal, which is considered one of Canada’s oldest and more prestigious film festivals. Selda will be competing for these awards in the Montreal World Film Festival: Grand Prix of the Americas (Best Film), Special Grand Prix of the Jury, Best Director, Best Actress, Best Actor, Best Screenplay, Best Artistic Contribution and the special Innovation Award. 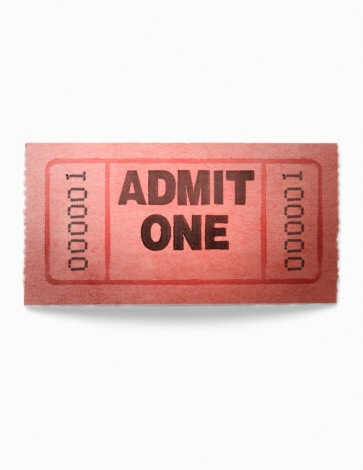 The Montreal World Film Festival will showcase 200+ feature films from all over the world, including 105 world premieres. On Golden Pond director Mark Rydell will be heading the jury, which also includes the likes of directors Xie Fei and Vojtech Jasny, novelist Dany Leferriere and actress Evelyn Bouix. In 2005, Ang Pagdadalaga ni Maximo Oliveros by Auraeus Slito won the Golden Zenith award in the first films competition in the Montreal World Film Festival, but the film never made it to the main competition, which is why it is such a feat for Selda, and for Sid Lucero, who is said to be shortlisted in the best actor category. Back in the Philippines, Sid Lucero has already won a Gawad Tanglaw Best Actor award for his role in Selda, including a Cinema One Original Award for Best Actor for his role in Tambolista. Sid Lucero has also been nominated several times for Best Actor for his role in Selda by the likes of the PMPC Star Awards, the Golden Screen Awards and the URIAN awards. Selda is directed by Paolo Villaluna and Ellen Ramos. OK. 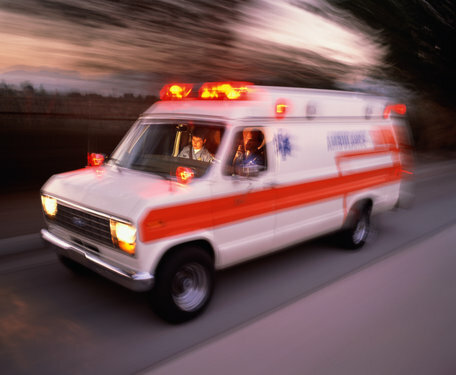 So it was all over the news today that Ely Buendia had to be rushed to the hospital. What exactly went wrong seems yet to be determined. Well, that’s indeed a very hard pill to swallow for the audience who were out there. Me – I was somewhere else, so I really don’t know what went wrong. However, I heard good reviews about the Eraserheads Reunion Concert despite the sad news regarding Ely Buendia. I also heard that the Eraserheads minus Ely Buendia performed at Saguijo that night. A surprise performance! Maybe they too felt bitin with their performance at The Fort, so they decided to make the most of it at Saguijo. At least, to a handful of Saguijo faithfuls. Well, so goes Pinoy rock and roll. However, a bit of rock and roll conspiracy theory – According to earlier reports, each member of the Eraserheads who would be performing for the Eraserheads Reunion Concert were supposed to earn 2 Million pesos each for that one-night-only gig. It would be a shame if Ely Buendia’s 2 million pesos would be spent on hospital bills. At least, we know he can afford it and that there won’t be a need for an Ely Buendia Fundraiser Concert. Or would we? In any case, Ely Buendia is reported to be doing OK. Perhaps the adrenalin of the concert just rocked some of his nerves in the wrong way. At least he’s fine, and maybe we can look forward to an Eraserheads Reunion Concert 2. Because technically, they haven’t finished the show! The Karaoke World Championships started in Finland back in 2003. At that time, there were 7 participating countries. Fast forward to 2008, and there are almost 30 countries participating in this prestigious event. IN fact, the Karaoke World Championships is the only one of its kind in the world which brings together the top non-professional Karaoke singers of each country to compete in an international singing contest. Each country sends one male and one female representative for the Karaoke World Championships. 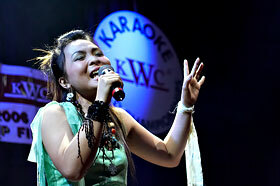 Last 2007, the Karaoke World Championships grand finals was held in Bangkok, Thailand, and was won by Julie Walter-Sgro of Australia (female winner) and Lu Hee Wah of Malaysia (male winner). Anyway, we all know that Filipinos have a fondness for singing and singing contests, and we know that we have some of the best performers in the world who can bring international acclaim when it comes to singing. Of course, we’ve had the likes of Lea Salonga (Broadway performer), Carla Guevarra (Broadway performer), Jasmine Trias (American Idol finalist) Arnel Pineda (vocalist of Journey) and so much more. So, I’m pretty certain that the Philippine representatives to the 2008 Karaoke World Championships might also soon become just as popular and might be the next big singing sensation. Well, 2008 marks also the first year that the Philippines will be participating in the Karaoke World Championships, with the international grand finals to be held at Lahti, Finland this coming October 24 to 26, 2008. But before we get to Finland, we have first yet to determine who will be the two singers (one male and one female) that will represent the Philippines in the Karaoke World Championships. First off, interested singers must register and submit their applications. I’m not sure where you can go online, but inquiries can be made at 744-3576. Or maybe you can email the Karaoke World Championships Philippines Country Head Judith Villongco at judithyv@gmail.com. I believe there’s a Php300 joining fee, which is a small amount just to weed out the serious participants from the just-want-to-try types. After all, this is not like Pinoy Idol or American Idol where anyone can audition for free, and maybe some just want to get some publicity. Anyway – after that, the elimination rounds for the Karaoke World Championships Philippines will be held at SM Southmall on September 20, Saturday. During the eliminations, each contestant will belt out 2 songs of their choice. A panel of judges will give out scores, and the top 10 of the elimination round (5 female and 5 male) will be featured in the Karaoke World Championships Philippines grand finals which will be held at SM Mall of Asia on Thursday, September 25. During the grand finals, each finalist will sing three songs and the top two singers (one male and one female) will be crowned as KWC Philippines champions, and will be the official representative of the Philippines to the Karaoke World Championships in Finland. Anyway, while the 2008 qualifications for the KWC Philippines may seem a bit abrupt with only one elimination round and one grand finals, the organizers and franchise-owners of KWC Philippines are planning bigger things for 2009 and the upcoming years. Eventually, you can expect KWC Philippines to really cover major cities of the Philippines in order to really search for the best representative to win a gold medal in the KWC Grand Finals in Finland. By 2009, you can expect to have KWC Philippines events in places like Cebu, Baguio, Davao, Cagayan, Bacolod, Iloilo, Ilocos, Angeles and Boracay. But for now – let’s all look forward to this September 2008 for the KWC Philippines events at SM Southmall and SM Mall of Asia, and let’s support the singers who will represent our beloved Philippines in Finland. I wouldn’t be surprised that the first time the Philippines joins, we’ll win the gold instantly. Pinoy pa! Ang galing galing kumanta! Well, go Philippines! Bring home the gold from Finland at the Karaoke World Championships. A couple of minutes ago i got a message saying information that made me jump out of my seat! It said that folks involved with MTV Philippines have taken over the show of the Eraserheads reunion concert and that ticket prices have been changed to P800 and P1300! 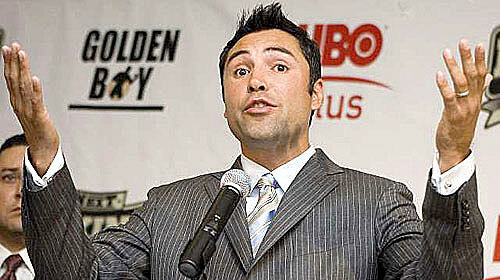 Immediately i made the call to MTV to find out if these reports were true…indeed they are!!! Radiohead Media Solutions, Inc. announces the acquisition of the concert rights to the much awaited one-night-only Eraserheads reunion this coming Saturday, 30 August 2008. The Reunion is to be slated at the Bonifacio Global City Open Field. Brought to you by Radiohead Media Solutions, Inc. in cooperation with SonyBMG Music Entertainment Phil., Inc. It has officially been confirmed that the Eraserheads One Night only Reunion concert has been taken over by Radiohead Media Solutions! After Marlboro pulled out, it seems like they took on the responsibility of doing the show and giving the fans what they want!!! Not only that, but ticket prices are also now at P800 and P1300. Tickets will be sold at ticketworld starting august 28 and you can call them for inquiries at 891-9999. I know im the first one to release this info and many of you may not believe me but this news comes directly from a few very reliable sources!!! Believe it or not!!! Anyway, thanks very much to Miggy Matute for doing his best in keeping everyone updated on what’s happening with the much-anticipated Eraserheads Reunion Concert. By the way, even though the concert isn’t sponsored/promoted by Marlboro, you can still smoke. Cigarettes or otherwise. I received an invitation to an awesome party at Embassy Fly from my good friend Elian Habayeb, who is one of the coolest people when it comes to deejays, parties and events. Anyway, I’m posting the event invitation verbatim as was written. All I can say about it is that DANCE! is an awesome concept, and is going to be a hit event. No social butterfly-ing here, just sweat it out and dance!!! Even though Manila has a vibrant nightlife, this doesn’t necessarily mean it has much of a “dance” scene. Yes, people go out and drink and party, but people are seldom seen really dancing. In other cities, such as New York, San Francisco, London or Sydney, people sweat it on the dance floors of clubs for upwards of 5 hours, resting only long enough to go to the restroom and get a drink to cool them down. 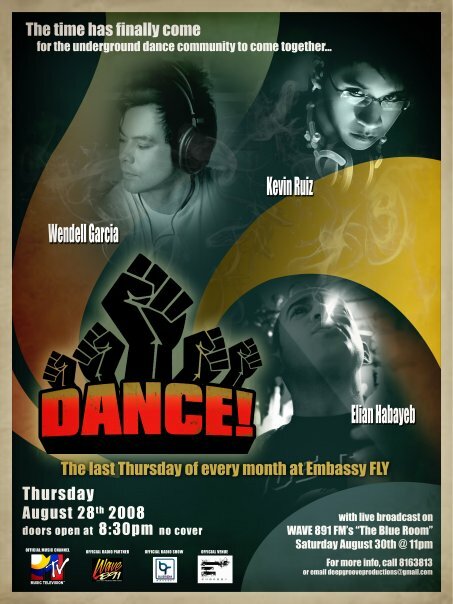 There was a time when such dancing existed in Manila, the age of ABG’s and seveneightorange from 1998 to 2003. Although today there are bigger and more posh clubs with louder sound systems and fancier VIP sections, the raw therapeutic dancing is all but nonexistent. The mission of the organizers of DANCE! – DJs Wendell Garcia, Kevin Ruiz, and Elian Habayeb – is to basically “bring dance back” to Manila by holding a unique monthly party that focuses on the dancing and minimizes other distractions. Similar monthly parties are now being held in major cities all over the world but, aside from a select few great parties, there is nothing really like this in Manila. One look at the full dance floor on any night this event is held and it becomes clear what the organizers are trying to do. It’s a simple formula really: bring people who enjoy dancing together, get them in a venue with a good dance floor and good sound system, and play the best dance music in the world. The person that isn’t dancing his heart out by the end of the night needs to check if he has a pulse. DJs Wendell, Kevin and Elian have a rich background in performing at and organizing such dance events. With musical influences from New York and Chicago to Toronto and Berlin, the trio has rocked clubs before and are now ready to do it together in an epic monthly event that is expected to build a considerable cult following. But this won’t be about their efforts, this will all be about you and every member of the underground dance community coming together and leaving the stress of daily life on the dance floor. DANCE! won’t be confined strictly to its venue at Embassy FLY, it will also reach a potential 12 million listeners on the radio through its live broadcasts on Manila’s #1 R&B radio station WAVE 89.1 FM, and will reach global audiences through its broadcasts on internet radio stations and through coverage on MTV. Manila’s not gonna know what hit it! You are invited to the launch party on Thursday August 28.